I’ve never been one to want to spend my time in the saddle just going in circles around a dusty arena. As a kid I did my time in lessons and horse shows, but it was never where I wanted to be. I’m happiest while riding when I’m on a trail, enjoying nature. Last ride with Pinto- one of the best. When I was six I got my first pony for my birthday. Squaw (she came pre-named) was a fearless Pony of America that would do anything and looked great while doing it. 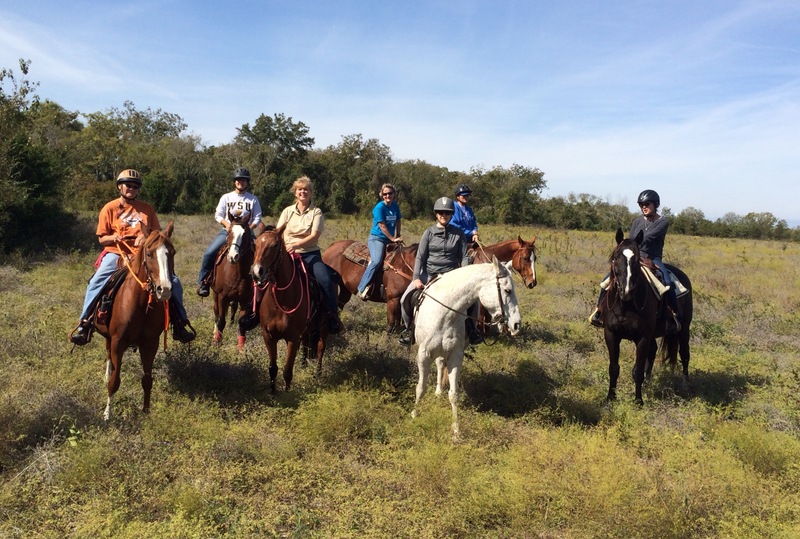 My mom would hike along with us and we would ride from the corner of Loop 360 and Bee Caves Road down into the Wild Basin Nature Preserve and be gone all day. Loop 360 was just being built back in the 1970’s so the cars, houses and businesses had not yet filled the wooded hills of Westlake. I loved those early days of walking slowly along the loosely defined footpaths and game trails- exploring what seemed at the time to be an endless forested world. 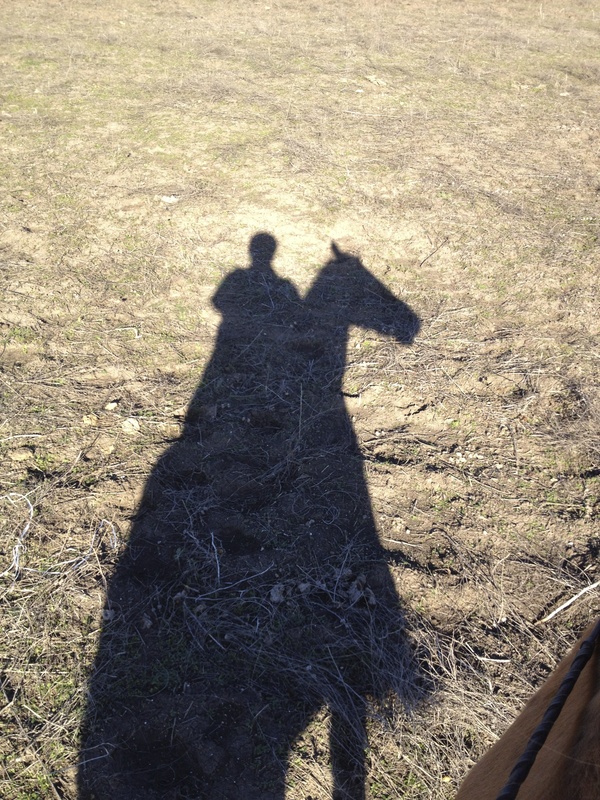 Winter shadows of me and Ranger. As I got a little older, the freedom of riding was even more desirable. In those hard early teen years when nothing else seemed to make since- being on a horse’s back, riding in the woods offered sole-soothing comfort. I could lose myself for hours in the woods, riding without a saddle, getting to know every tree and every rock, and constantly looking for evidence of wildlife. But I wasn’t always alone. I had several friends that also held in them a fearless heart and they would swing up on their horse to ride for hours with my bold pony and me. I still get to ride with those lifelong friends and they still have fearless hearts. As an adult, I feel exactly the same now as I did as a child. I still love to ride the trails either alone or with friends, looking at nature from the slow, easy pace of a horse. Oh sure, it’s much harder to get on and off my mount these days, and I can’t imagine riding without a saddle and helmet. But I also can’t imagine a life without horses or friends to ride those horses with. 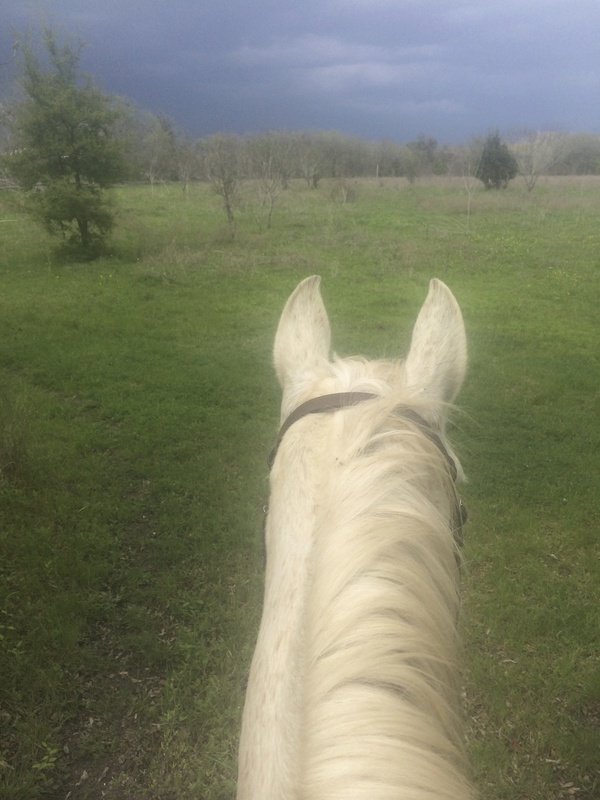 Watching the coming storm and trying to get back to the barn in time. Along the way I have made new friends to ride with when the old ones are too far away and it is always nice to find a kindred soul who is still willing to venture out into the woods. Some day I might have to make my peace with riding quietly in a circle when I get too old to do much else or when there is no more open land to ride. 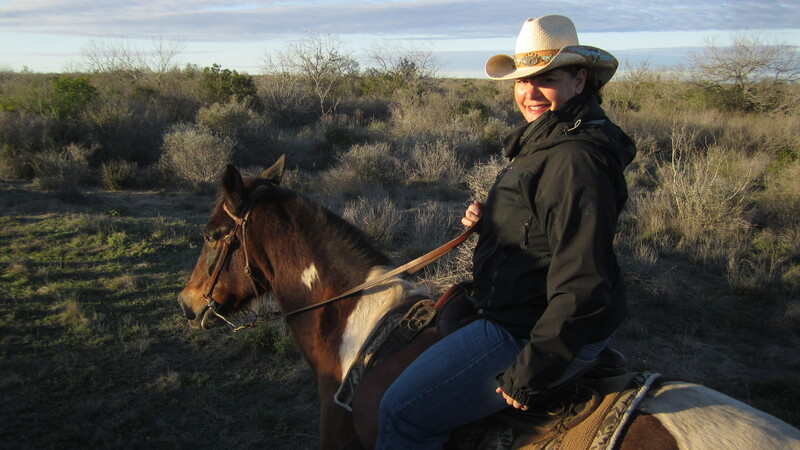 Until that time, I will enjoy every day that I’m able to ease along a trail with my trusty horse(s). Jen, you’ve put my feelings into words here. I feel blessed to know you, call you my friend & trail buddy. Thank you.